Gimmickry showcasing of spectacle, especially spectacle unavailable to TV, is important in a number of these films. The Exorcist was full of grotesque effects that TV legally couldn’t replicate. Dr Zhivago and The Ten Commandments showcased the widescreen landscapes TV couldn’t do with The Ten Commandments also being a special-effects extravaganza as well as having the proverbial ‘cast of thousands’. Star Wars was of course mind-blowing when released because of its complete reversal of previous film-making methods involving model-work, and Gone with the Wind was both in the expensive and new ‘glorious technicolour’ as well as being so lavishly produced that a Confederate veteran famously complained of the burning of Atlanta sequence that “If we’d a had that many men we’d a won the damn war!”. Jaws was nearly the pinnacle of the 1970s obsession with shooting on location, 1937’s Snow White was a risky gamble that audiences would accept feature-length animations (you’re welcome Pixar), and Titanic was a monumental folly of integrating huge sets with unprecedented use of CGI. We criticised Avatar for using broad brushstrokes but many of these films use such a large canvas you’d have needed a damn mop. The difference is craft… Jaws was such a superbly directed suspenser that Hitchcock handed the torch to Spielberg, who then reduced children and their parents to blubbering wrecks with E.T.’s outrageous emotional manipulation. The Sound of Music showcases its joyous musical numbers with a much sharper script that you remember, and Satan Vs Christ is enlivened by a sub-plot of some depth about faith and doubt in The Exorcist. Lean never lost sight of his characters’ emotional truth in Dr Zhivago’s epic landscapes and The Ten Commandments was filled with charismatic performances, while Snow White and Star Wars enacted their simple archetypes with great charm. 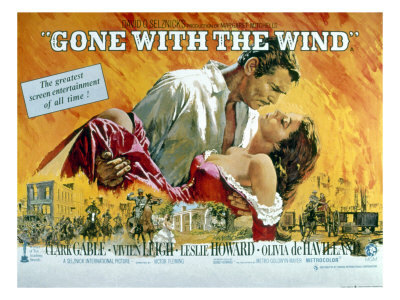 Gone with the Wind meanwhile successfully melds an intimate love story with an epic backdrop with humour, romance and compelling dramatic grandeur. I’ve previously argued Gone with the Wind’s release just before the world plunged into World War II was apt as people on the brink of unimaginable horror responded to it as a tale of civilizations swept aside and one strong survivor battling through. Stephen King argued that The Exorcist appealed to parents concerned about losing their kids… and those teenagers, eager for shocks. Jaws was a subtle allegory of post-Watergate political tensions, Star Wars showcased the all-American optimism that had been so lacking in 1970s cinema, while Charlton Heston’s Moses appeared in Eisenhower’s reign as President during which Ike added references to God to both dollar bills and the Oath of Allegiance. 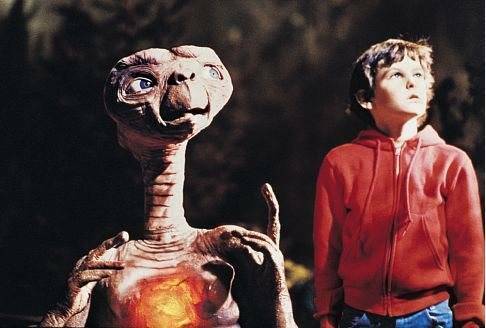 Critics meanwhile noted E. T. as one of the first mainstream films that was informed by the new baby-boomer experience of a divorced father’s absence from a middle-class white family and the bitter cost on the children. A number of these films were adapting already popular material. Snow White was a universally beloved fairytale, while The Exorcist, Dr Zhivago, Jaws and Gone with the Wind had all been bestselling novels, and Cecil B DeMille was dramatising the Bible. Robert Wise was adapting a hugely popular stage musical from the reigning kings of Broadway, while Star Wars drips with archetypal elements from Joseph Campbell’s rummaging thru the heroic legends of the world’s ancient cultures, and everyone thought Titanic was clichéd in the way Avatar was clichéd in its use of over-familiar story tropes, and on top of a famous event to boot. E.T. is the only original script here which would have been completely unpredictable to audiences. Perhaps the decline of reading as attention-spans collapse has eliminated the universal reception possible to films in the past, especially Gone with the Wind whose casting of Scarlett O’Hara was as protracted and famous as it was simply because so many people already had their image of Scarlett from reading Margaret Mitchell’s book. The new impossibility of gathering a monolithic audience in any sphere of entertainment means no film will ever top Gone with the Wind. Oddly enough for an age that regards romance as a structural necessity regrettably foisted onto blockbusters or the stock-in-trade of the worst genre in the world (rom-com) we find romance dominating half these films. Snow White is the idealised fairytale romance, Omar Shariff and Julie Christie are thwarted lovers married to the wrong people in David Lean’s swooning 1965 epic, while forbidden romance again figures in Maria’s transformation from nun governess to beloved stepmother of the Von Trapp family, and Titanic is the archetypal American romance between an uptown girl and the boy from the wrong side of the tracks. And of course the most tormented, dysfunctional, sweeping romance of them all stands at the very zenith. “Our love is epic”, Logan Echolls told Veronica Mars, “Epic?” “Epic. Spanning continents and decades. There’s betrayal, bloodshed and heartbreak. Epic.” And damn if Epic Love isn’t still the top film of all time. From the Golden Age of Hollywood comes the mythic love story of Scarlett O’Hara and Rhett Butler’s romance while the Confederacy burns around them.